When it comes to school security, administrators are looking for all the ways they can protect both their staff and their students. Security is on many people’s minds these days as schools seem to be under attack from within. School security consultants can be brought in to create a detailed and comprehensive plan to address any vulnerabilities in the school’s security and how to respond to various threats and emergency situations. Physical changes can be made to the school, such as adding metal detectors, video surveillance, or the installation of a school security window film. We offer a full line of high-performance security films, including loss prevention film and bomb-blast film. These films can greatly enhance the physicals security of the school and everyone in it. They are made from an extremely strong polyester compound that bonds to the glass after installation and holds the glass in place. 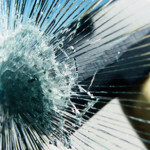 If the windows do shatter as a result of someone breaking them on purpose or by accident, or as a result of an explosion, the film will hold the glass in place in the window. This has several important security benefits. First, there will be no dangerous shards of glass all over the interior or exterior of the school, and no messy clean up. And secondly, in the unfortunate event that there is some sort of explosion, the glass will not be turned into flying shrapnel that can injure, maim, or even kill. School security window film can save lives, making it an affordable and worthwhile candidate for any school’s overall security plan. Our films are from international industry leader Llumar; the same films which have been installed in other security conscious places such as Buckingham Palace and the Vatican. These films are not just for schools, but for any government facility, laboratory, municipal building, sports arena or concert hall, corporate headquarters, or house of worship. They add peace of mind without subtracting from the optical quality of the glass. A comprehensive school security plan will include much more than just suggestions for physical alterations to the school. It starts with a thorough assessment of the building or campus and its vulnerabilities. Suggestions for mitigating those vulnerabilities are included. A customized emergency preparedness plan must also be created. The third prong of a good school security plan must include hands on training for those who will have to implement the plan in case of emergency: the school’s teachers and other staff. For schools interested in working with a security consultant firm, we suggest they thoroughly vet different firms and choose the most experienced firm they can afford. A firm such as Secure Education Consultants (SEC) has one hundred years of combined experience among their consultants, all former Secret Service agents who are extremely passionate about student and child safety. Please contact us today for more information or a quote on school security film.